What do the popularity of online shopping, home food delivery businesses, telecommuting and culture’s newfound focus on wellness have in common? They all represent a growing lifestyle trend of “staying in.” Technological advancements, plus a growing cultural awareness focusing on personal well-being and self-care, has led to many creating a home sanctuary to overcome the busyness of life. We have seen this trend realized with the explosion of home decorating and DIY bloggers gaining in popularity over the past decade and, inevitably, these trends also inspire us to examine our outdoor living spaces as well. 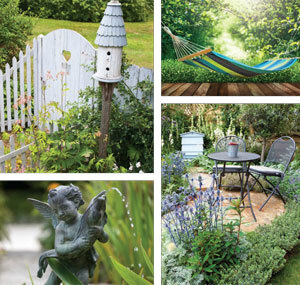 Creatively thinking of what might spark joy for you in your outdoor space, partnered with skilled planning and wise investment can help you gain a peaceful retreat in your yard to relax and unwind. Modern homeowners and purchasers have the freedom to think creatively, whether purchasing or contemplating changes to their current homes. They no longer need to feel restricted by current layouts or space available and have been encouraged to think outside the box and transform their spaces to fit the function, feel and aesthetic they desire. 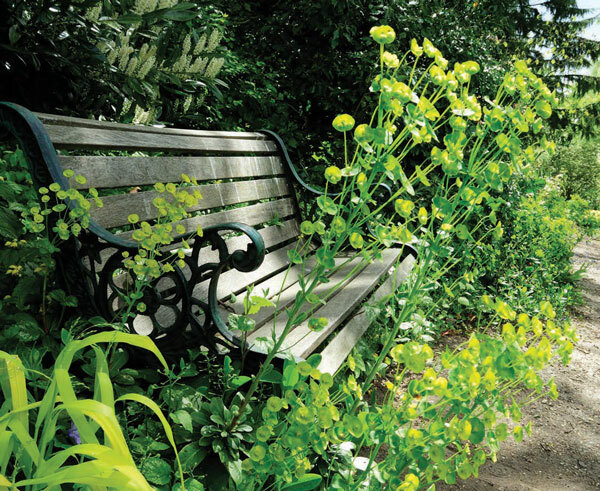 These inspired transformations can extend outdoors to create tiny retreats—garden nooks and outdoor follies that reflect the homeowners’ style, interests and personalities. Extending outdoor spaces not only creates a tranquil escape that extends beyond the conventional walls of your home, but those investments increase the value of both home and property. Location: Is it easy to access from your exterior doors, yet away from noise and people? Privacy: Can the space create a feeling of seclusion and escape? Soft Elements: Does the landscape plan offer soft elements to make it feel alive? 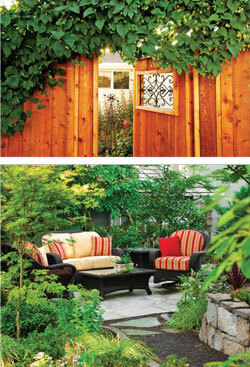 Examples of these would be the sound of water, or plants and features that attract birds and butterflies. A tiny outdoor retreat can blur the line between indoor and outdoor space, creating a peaceful escape that is an extension of home. When planning for an outdoor retreat, consider the scope of the yard and take note of which natural borders and barriers currently exist and which may need to be added. Living privacy boundaries block views and sounds from neighboring yards, the street, or even activity areas in your own yard. Consider the location of your intended retreat to maximize sunrise or sunset views or natural vistas of mountains, lakes, or streams. Other features to consider when planning a tiny retreat are seating options. Very small spaces may only allow for a comfortable chair and small table, but larger spaces could include a hammock, swinging bed, multiple seats, or a larger table with chairs. Use the footprint available to help determine the function of the space and make a plan from there. A beautiful and functional addition to a backyard retreat might be a “folly.” In eighteenth-century Europe, follies were first built as decorative, non-functional, symbolic structures in gardens, representing classical virtues of the location—temples, pyramids, or abbeys—and were purposed to add whimsy or extravagance to the surrounding landscape. In today’s landscaping, a folly is built generally matching the style of the exterior of the main house and increasingly used as functional outdoor space. 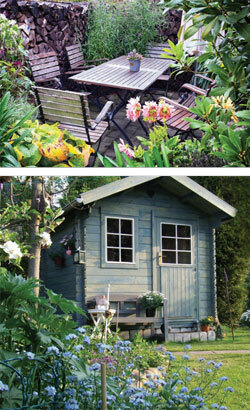 Outdoor follies can either be created from repurposing existing outdoor structures or building new ones. 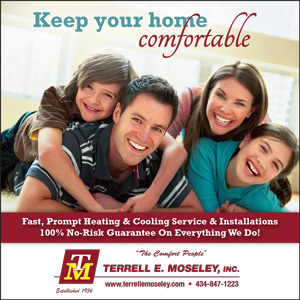 There are numerous plans online for follies that match the architectural style of your home, as well as existing shed kits that may be purchased from home improvement stores and modified to your own needs. Be sure to check with neighborhood covenants before building to ensure that your planned structure falls within guidelines. 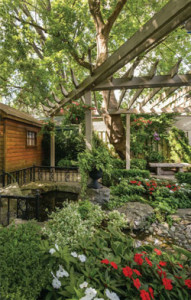 A trend that has become popular in today’s booming DIY culture is the “she shed”—a folly created by transforming backyard structures into beautiful and luxurious hideaways where women can escape the daily grind. Created for crafting, reading, relaxing, or indulging in a favorite hobby, the she shed offers its owner a welcome retreat from the unending list of chores staring back at her inside the home. No commute is required and the space can be customized to indulge the senses with favorite scents, luxurious linens and comfortable furniture for relaxing. Many she sheds offer modern conveniences such as electricity, internet connectivity and air-conditioning; some are even large enough that they may be used as small gathering spaces, should entertaining be something that brings joy.